Last weekend, my eldest daughter, Simone, came to visit. It was one of those calm, crisp, blue-skied winter days. Perfect for a wee stroll so after a late lunch we headed off to the Seaboard Sculpture Trail. 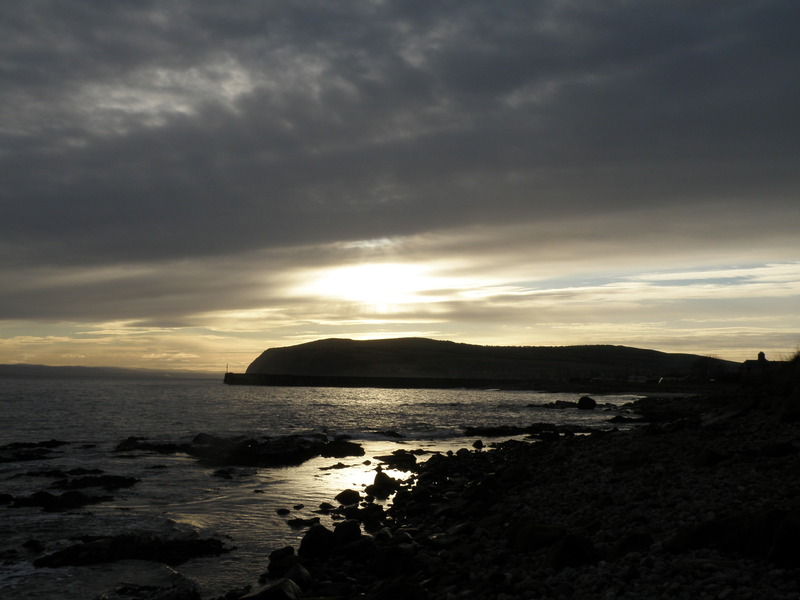 The Seaboard Villages – Balintore, Hilton and Shandwick – have for centuries relied on the sea and the sculptures were created to celebrate those strong links. There is a plaque which explains that the sculptures in the park are “centred on 5 imaged themes which reflect the history and characteristics of the villages” – Faith, Folklore, Fortitude, Fishing and the Four Corners of the Earth. 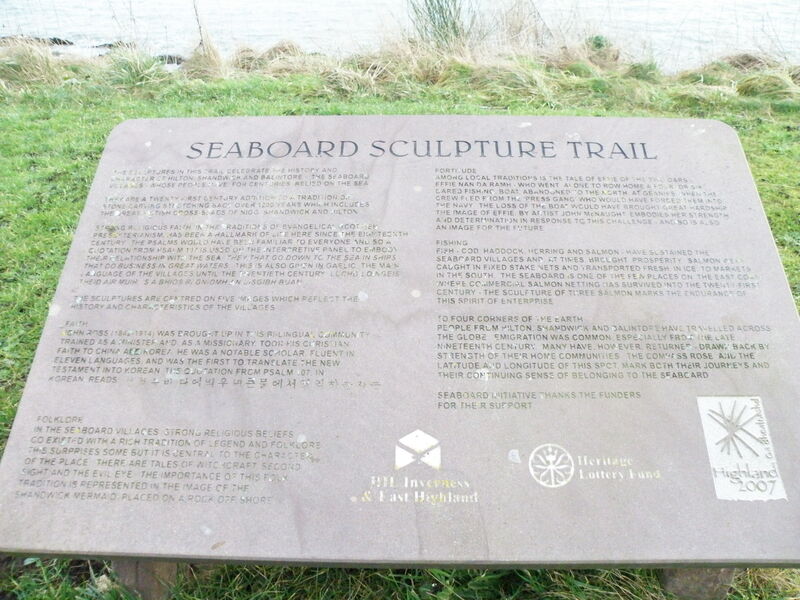 The sculptures are set out as a ‘trail’ and the Sculpture Trail is now a familiar landmark. With time on our hands, and a bit of warmth in the winter sun, we stopped to look at each of the sculptures – something I haven’t done for a while, and Simone had never done. We live in a world where the Internet and mobile phones give us unlimited access to information and ways to communicate. We are only a ‘click’ away from anything we want to know –and a flight away from anywhere in the world. It wasn’t like that in 1872 when John Ross travelled from the Seaboard Villages as a missionary to northern China and Korea. On the sculpture trail ‘Faith’ is represented by an understated memorial to John Ross whose legacy lives on in the Christian churches of Korea and China. ‘Fortitude’ is seen in the image of Effie of the Two Oars. When some fishermen abandoned their boat in order to avoid the ‘press gang’ they sent a woman to retrieve it. She rowed the boat home using the two oars herself. We had a wee chuckle at the way Effie is depicted with oars as arms. She surely looks like a woman of fortitude. ‘Fishing’ is my favourite sculpture. 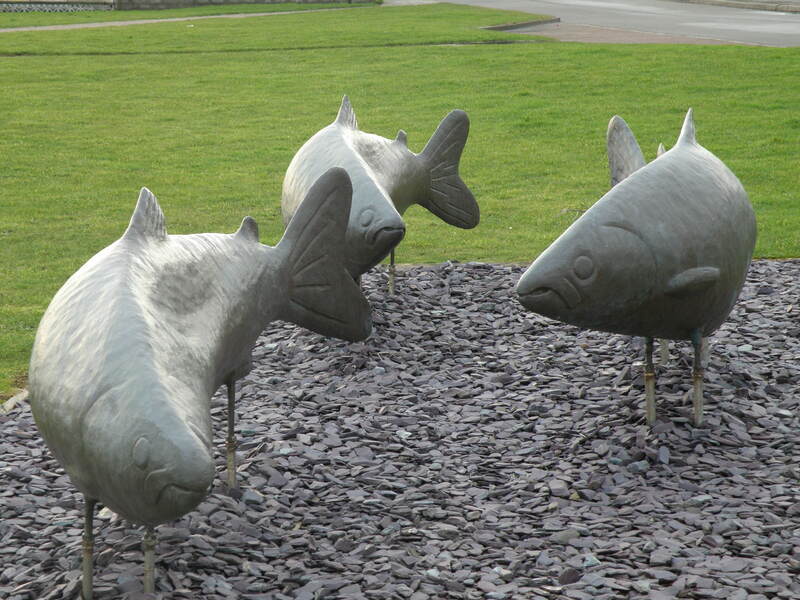 The three giant salmon now stand on the shore – the better to be seen. In the past the fishing industry brought fortune and a means of survival to the villages. There are still a few nets to be seen out in the bay as a small reminder of bygone days. 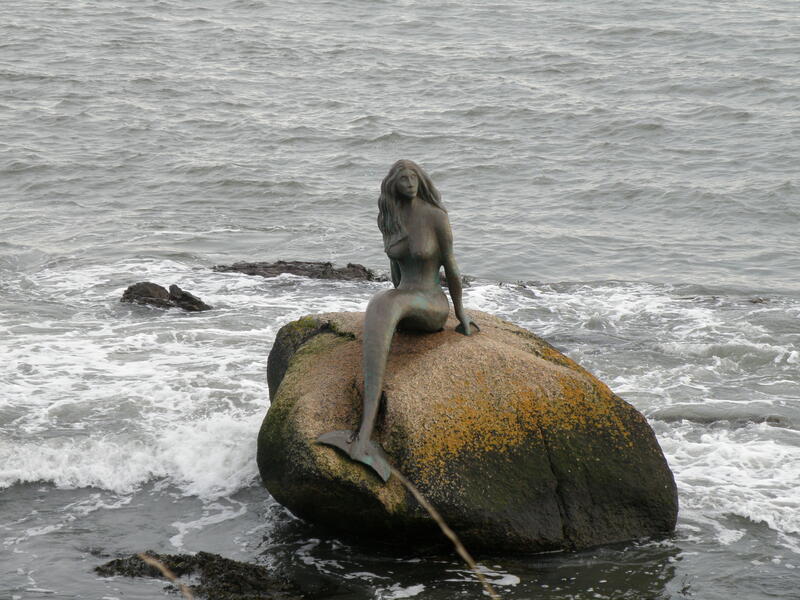 Probably the best known of the sculptures is the Mermaid of the North. She represents ‘folklore’ and sits on the rock gazing to the shore. She doesn’t look out to sea “lest the fishermen catch her eye and become distracted from their task”. I don’t think it would be her eyes that would distract the fishermen from their tasks! The ‘Four Corners of the Earth’ holds the most meaning for me. Two of my daughters and both of my stepsons have chosen to follow in the footsteps of many villagers of the past. A compass rose set in the ground marks the beginning and end of many journeys made from the villages and serves as a reminder that reminder that Balintore is home.